We are Liberty Elementary School parents working together to provide resources and funds for enriching the educational environment at our school. The Foundation is here to support our teachers and students and to foster a nurturing community environment in order to achieve the best possible school experience. · Veterans Day Program – Every Veterans Day the Foundation invites veterans to a luncheon after a special program that is put on by the kids. · Pasta Feed – Every February the Foundation invites the community to a Pasta Feed dinner. · Pancake Breakfast – In the spring, the community comes out for pancakes, eggs and ham. 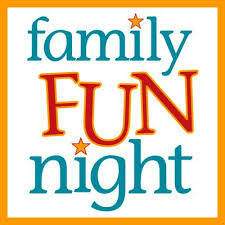 · Family Fun Night – The first Friday of the school year, we come together for dinner and a movie. · Science Fair – The kids get to choose, document and present a science project to the rest of the school. 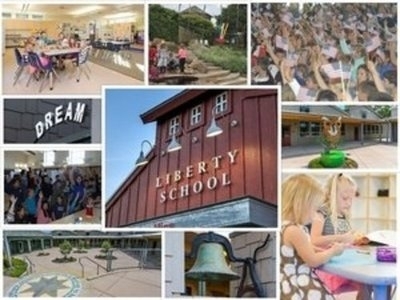 Foundation Supporter – Your financial support is a major source of funds for the Liberty School Foundation. Your tax-deductible donation shows your support for the Foundation and what the foundation does for the kids of Liberty School. Walk-A-Thon – The kids LOVE this event! You can show your support by assisting your child/children by getting 10 or more people to sponsor your child in the walk-a-thon. Box Tops – We collect Box Tops! Look for Box Tops on all the products you buy. Clip the box top and have your child bring them to class. SCRIP/Gift Cards – Use gift cards? Give gift cards? Buy your gift cards from the Foundation and by doing this you are helping fund our school field trips. Amazon.com and eScrip – Shop Online? By using the special links on the Liberty School website, our school will get a small % of each transaction of sales on Smile.Amazon.com and all the websites on the eScrip website. Your generous donation is tax-deductible, Tax ID 91-1879615. * Please note that regardless of Foundation support, all families who choose to will be included in our directory, but directories will not be available to non-foundation supporters. *All Supporters receive a Liberty School Foundation Telephone Directory. Please let us know if you wish to not be a part of the directory. Please make checks payable to the Liberty School Foundation and return to your child’s teacher or the front office by Friday, August 31st. The Foundation is made up of parents and faculty who meet once a month, at 7:00 p.m. in the Teacher Staff Room. We invite all parents who are interested in learning more, or who would like to get involved to attend.